Category: Day Trip Details: This should be an easy day trip through historic Warrenville, with a possible stop at the Urban Streams Research Center at Blackwell Forest Preserve. Possible extension, depending on conditions, through/portage over Fawell Dam. Car shift 9:30. Directions to Mack Road Canoe Launch : From I-88 – Exit I-88 at Winfield Road. Turn right and drive north approx. 3 ¼ miles to Mack Road. Turn left and drive 1 ¼ miles west to the Canoe Launch and Dog Park, parking lot entrance on left. From Route 59 – Mack Road is between Batavia Road and Roosevelt Rd. (IL Rte 38) between West Chicago and Warrenville. Turn east on Mack a half mile to cross the river and enter parking lot on south side of road. Details: We will paddle from Yorkville, IL (below the Marge Cline White Water Park) to Millbrook, IL. (Shuh Shuh Gah Canoe Launch) Approximately a 7 mile paddle. PFD's must be worn at all times while on the water. Bring a snack/lunch, we will stop at Silver Springs State Park. Depending on the weather, cold water paddling gear and practices may be required. Car Shift at 10:00am from Yorkville, IL. Category: Day Trip Details: Enjoyable Sunday paddle through downtown Naperville along the Riverwalk with the carillon ringing in your ears. Car shift at 9:30 from the “Three Diamonds” put-in at the intersection of Hidden Spring and Stauffer Rds., Naperville. From Ogden Ave. Rte 34 go south on River Rd. across RR tracks and turn left onto Hidden Spring. Follow to Stauffer and the dead-end at Will-o-way Commons. We plan to stop at Pioneer Park for lunch and finish up at Knoch Knolls Park, a little under 7 miles paddle overall. When unloading at the Three Diamonds, please be quiet, courteous and respectful of the local folks sleeping in on Sunday morning. This section, depending on the water level, of the Kishwaukee River can have downfall and swift current so good boat skills are required. Bring water, lunch, PFD, and dress appropriately for the water & weather. Contact trip leader for more details. Category: Day Trip Details: We will be paddling the DesPlaines River from Russell Rd. to Wadsworth Rd. This section is peaceful and senic, and is appropriate for anyone, regardless of skill level. Details: Usually an easy paddle from the West Branch in South Naperville through the DuPage confluence and southward. Lunch at Riverview Farmstead, then take-out at Eaton Preserve Canoe Landing on the edge of Plainfield. Car shift at 9:30 a.m.
From Washington St. South, turn on Ring Rd., then left on Knoch Knolls Rd., south to the park and nature center parking lot. From Plainfield-Naperville Rd.. turn east onto 95th St., then left onto KNoch Knolls Rd. Continue to Knoch Knolls Park on right. Details: This is a local paddling event which is published as a public service announcement only, not a PSC sponsored event. All information is available on the event sponsor website, StCharlesCanoeClub.com. Recreational boating will take place during the afternoon. I will participate in both the morning races as well as the afternoon recreational boating session, plus I am available anytime to respond to any inquiries. The paddle course begins at Potawatomi Park in St. Charles, IL and proceeds north about 4.5 miles to the Jon J. Duerr Forest Preserve paddle boat put-in and then back to Potawatomi Park. Details: We will begin our paddle promptly at 6 pm from Crickett Creek Forest Preserve in Addison. We will paddle to Eldridge Park in Elmhurst where a car will be spotted for a reverse shuttle. This will be a quick trip; about 2 hours, however there is one small dam we must portage. We will return drivers to the put-in to pick up cars and then return to Eldridge Park to load boats. We will meet after the paddle (approx. 9 pm) at HB Jones located at 551 South York Street in Elmhurst for a late dinner/snack and some camaraderie. Please contact the trip leader if you intend to paddle; the shuttle logistics are important! Please contact Steve Sinderson by phone 630-878-1194 if you have any questions. Details: The cleanup session will begin at 8am and conclude at Noon. Plus, we can practice lake boating skills during the afternoon. Meet at the Tampier Lake Boating Center, which is located 200ft east of Wolf Road and south of 131st Street. You can cleanup either from your boat or by walking along the shore. Details: Mostly slow easy paddle through historic Plainfield areas with some nice green corridors. Car shift 9:30 a.m. Lunch someplace along the way. DIRECTIONS TO EATON PRESERVE CANOE LAUNCH AT 135TH ST. PLAINFIELD: From IL Route 59 go east less than ½ mile on 135th Street, cross the river and turn south into the canoe launch access. Or from Naperville-Plainfield Rd., go west on 135th St. (Pilcher Road at that point) and the canoe launch access will be on the left before you cross the river. Details: This year’s annual DuPage River Sweep gets under way Saturday, 5/18 from 9:00 a.m. to noon. The Sweep is organized by The Conservation Foundation and supported by DuPage County Stormwater Management. Over 12,500 volunteers have removed nearly 300 tons of garbage from DuPage County waterways since the event was launched in 1991. Joining hundreds of volunteers across the county, our crew will return to the West Branch this year to work on the river in the Naperville area. Contact Ray or Kathi for details. Car shuttle at 9:00 a.m. Details: This is a listing-only event for PSC points. All information for the Marathon can be found at: www.canoemarathon.com. To receive club points for this trip you must register for this PSC event and also be registered for the Marathon at www.canoemarathon.com. Upon completion of this event we will cross-reference PSC sign-up with Marathon finish results. This is the first in our PSC Training Series, Introduction to Paddling for Canoe & Kayak. This ACA curriculum will teach you the basics of paddling your kayak. Some paddling strokes you will learn include: fwd, rev, stop, spin (pivot), sideways (abeam), turning and many other skills to paddle your craft skillfully on calm protected waters. This is the first in our PSC Training Series, Introduction to Paddling for Canoe & Kayak. This ACA curriculum will teach you the basics of paddling your canoe. Some paddling strokes you will learn include: fwd, rev, stop, spin (pivot), sideways (abeam), turning and many other skills to paddle your craft skillfully on calm protected waters. NOTE: You will be 'camping' out of your boat, you must bring all your own equipment. This is not 'base' camping from your vehicle. You will not have easy access to your vehicle, although, it will be within an hours paddle. The camp sites are paddle in only. Come enjoy a relaxing weekend of paddling, camping, fishing, swimming, etc. in this vast wilderness area. No portages required, but plan on moving campsites at least once. Established hiking trails run throughout the wilderness area as well. The east side of Lake Monroe is where the Charles C. Deam Wilderness Area resides nestled inside the Hoosier National Forest. This side of Lake Monroe is set aside for fishing, pontoon type boats; the high speed ski boats & jet skis are relegated to the west side of Lake Monroe. Please contact me if interested or for more information. DuPage River from Rivertowne Landing to Minooka Rd. Location: DuPage River from Rivertowne Landing to Minooka Rd. Details: We will paddle through the channels of Hammel Woods, portage around the dam, and challenge the riffles downstream around the railroad bridge. Details: The White River rises out of the eastern end of Lake Geneva and winds through a variety of farmland and forest. Let’s meet at 9:30. Map and directions will be provided. While there are no hazards on this stretch, it is at times narrow and windy. Be sure to register so you get updated information on weather, water levels, and other details. Details: This listing is shown as a public service message about a local paddling event which is sponsored by the Fox Valley Park District. This event is not sponsored by PSC. All information and entry registration is found on the foxvalleyparkdistrict.org website. Details: PSC board meetings are open to the general membership. This class will teach basic moving water skills that every river kayaker should have. Students will build on the skills learned in the Introduction to Paddling class, and will learn such maneuvers as upstream ferries, downstream ferries, eddy turns and peel outs. PREREQUISITE: Students must have completed the PSC Introduction to Paddling class. 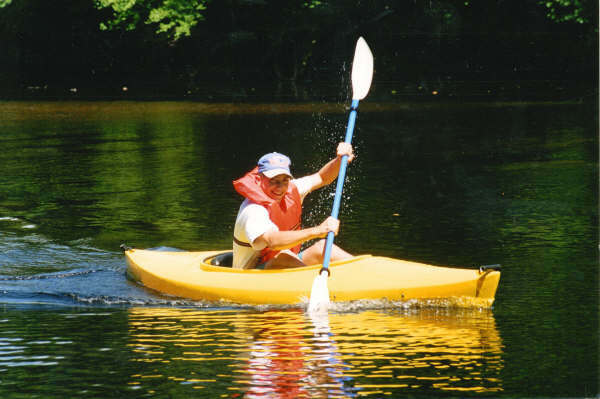 If you have not attended the PSC Introduction to Kayaking class, you must contact the Lead Instructor, Marlene Bertolozzi, by clicking on the blue name link, before registering.